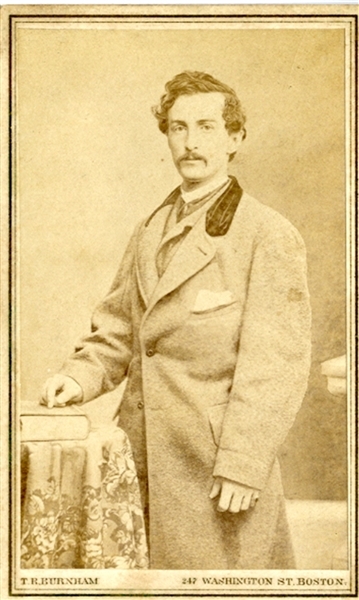 Carte de visite of John Wilkes Booth by T.R. Burnham of Boston, Massachusetts. Rare original photograph. Fine condition.